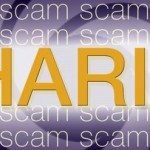 These scams offer you the false promise of an inheritance to trick you into parting with your money or sharing your bank or credit card details. A scammer may contact you out of the blue to tell you that you can claim a large inheritance from a distant relative or wealthy benefactor. You may be contacted by letter, phone call, text message, email or social networking message. 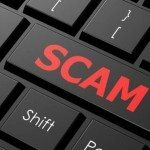 The scammer usually poses as a lawyer, banker or other foreign official, and claims that the deceased left no other beneficiaries. Sometimes the scammer will say you are legally entitled to claim the inheritance. Alternatively, they might say that an unrelated wealthy person has died without a will, and that you can inherit their fortune through some legal trickery because you share the same last name. You will be told that your supposed inheritance is difficult to access due to government and bank restrictions or taxes in the country where the money is held, and that you will need to pay money and provide personal details to claim it. Scammers will go to great lengths to convince you that a fortune awaits if you follow their instructions. They may even send you a large number of seemingly legitimate legal documents to sign, such as power of attorney documents. In some cases you may be invited overseas to examine documents and the money. You may be introduced to a second or even third scammer – posing as a banker, lawyer or tax agent – to ‘help facilitate the legal and financial aspects of the transaction’. If you make a payment, you won’t receive the sum of ‘inheritance’ money promised to you, and you won’t get your money back. You may also leave yourself open to identity theft. 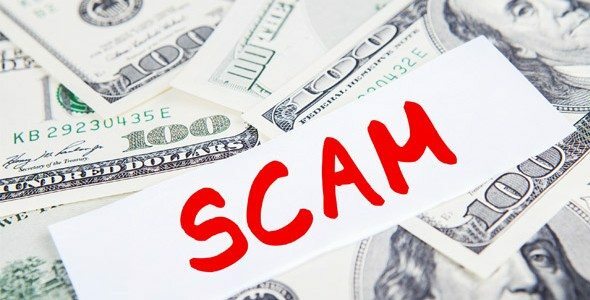 You are contacted out of the blue by a scammer posing as a lawyer or banker and offering you a large inheritance from a distant relative or wealthy individual. The offer looks convincing and may use official-looking letterhead and/or logos, but will usually contain spelling mistakes and grammatical errors. The size of the supposed inheritance may be very large, sometimes many millions of dollars, and may be quoted in foreign currency. You are provided with fake bank statements, birth certificates and other documents if you question the legitimacy. You are asked to provide your bank account details, copies of identity documents as verification, and to pay a series of fees, charges or taxes to help release or transfer the money out of the country through your bank. Fees may initially be for small amounts but you will be asked to make further larger payments. The scammer offers to meet you in person to verify the proposal, but this rarely eventuates. Never send money or give credit card, online account details or copies of personal documents to anyone you don’t know or trust and never by email. Avoid any arrangement with a stranger that asks for up-front payment via money order, wire transfer, international funds transfer, pre-loaded card or electronic currency. It is rare to recover money sent this way. Seek advice from an independent professional such as a lawyer, accountant or financial planner if in doubt. Do an internet search using the names or exact wording of the letter/email to check for any references to a scam – many scams can be identified this way. If you think it’s a scam, don’t respond — scammers will use a personal touch to play on your emotions to get what they want. Remember there are no get-rich-quick schemes: if it sounds too good to be true it probably is. © Copyrights iFrauds 2015. All rights reserved.